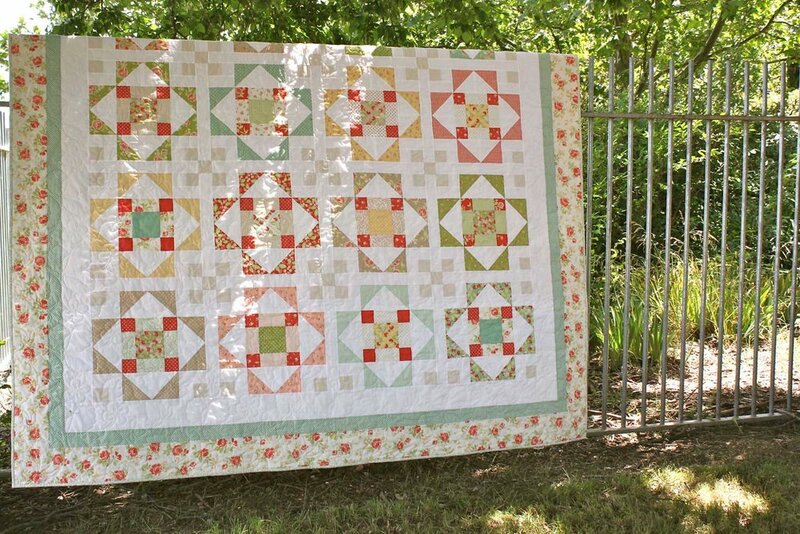 This quilt is constructed from a layer cake plus yardage for the sashings and borders. 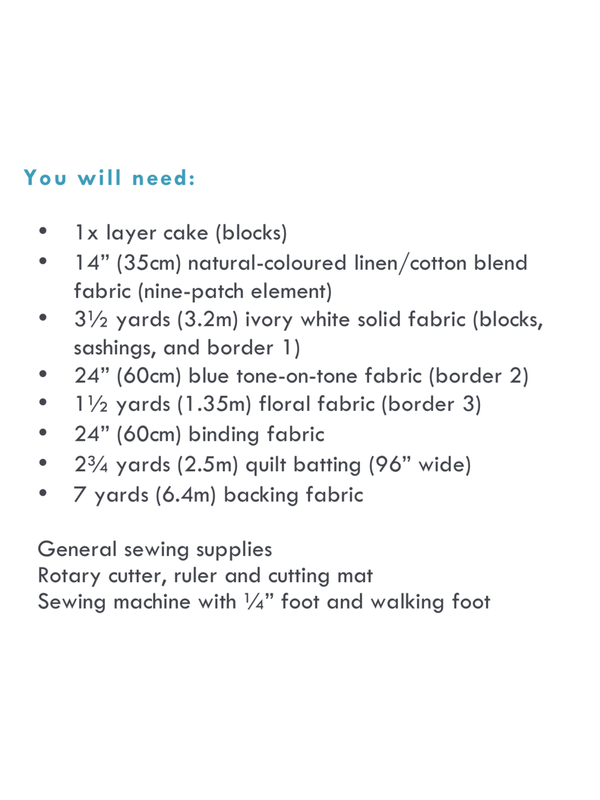 A layer cake is a coordinating collection of approximately forty 10" x 10" squares from a single fabric range. It is an economical way to purchase a small amount of each fabric in a range.